These cute little Ladies are fully edible. They were created with black and red fondant with just a touch of water to glue all the parts together. I rolled out the red bodies and black heads separately, trying to keep them relatively the same size but not identical. I like when things still look 'Homemade' and not cookie cutter. After attaching the heads to the bodies I rolled out a very thin snake of black fondant and attached it down the middle of the back. 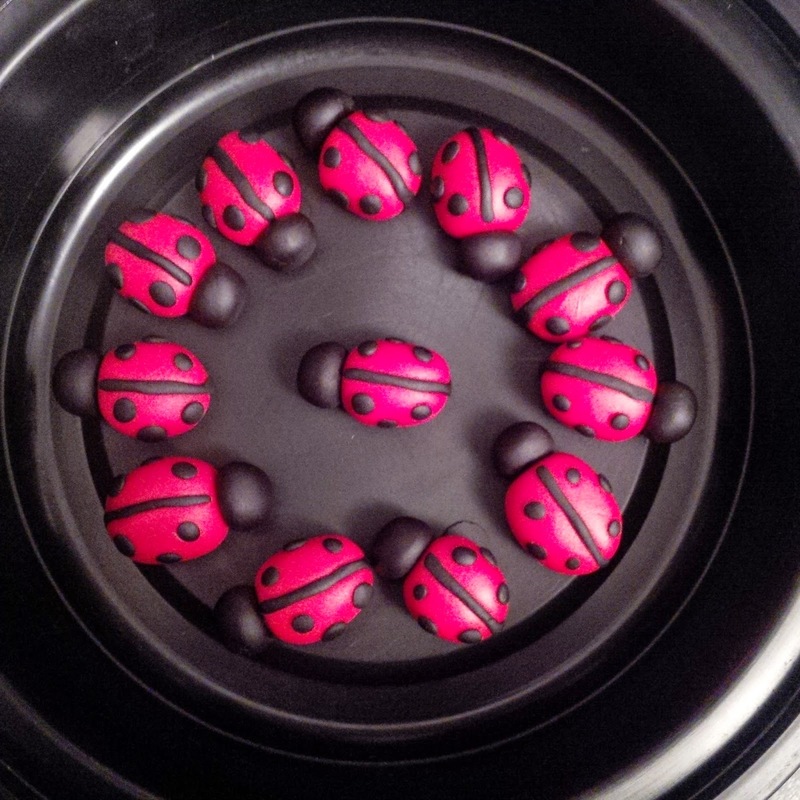 I then marked 3 spots on either side of the back and attached the black dots and after creating tiny little balls of black fondant I placed them on the back of the bug and patted them flat with my finger. I think they are just adorable and would compliment the top of any cake or cupcake!